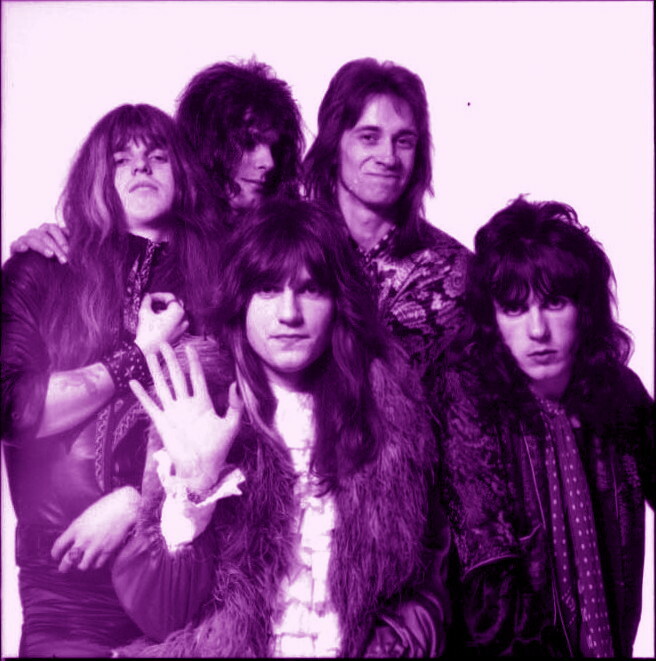 The Hollywood Brats were a real anomaly in the British music scene of the early Seventies. In a period of time when rock’n’roll had been reduced to pretentious prog or cartoon pop, they brazenly raised their heads above the parapets and called them all out. With a singular Year Zero attitude that Punk would claim five years later, they dismissed everything around them as insignificant or half-hearted and stormed down their own path. They donned extravagant garb and revved-up their sound with a truly raw intent, whilst never lacking a great tune at the heart of the matter. But while their single-mindedness created a vital statement, it also cost them the success they deserved. Unwilling to compromise, and naïve to the real machinations of the music business, they failed to get that elusive record deal and, although a great album was recorded, their failure to get it released subsequently led to their demise. However, the album was eventually released (initially, only in Norway !) and the band had an undeniable influence on the early Punk scene. 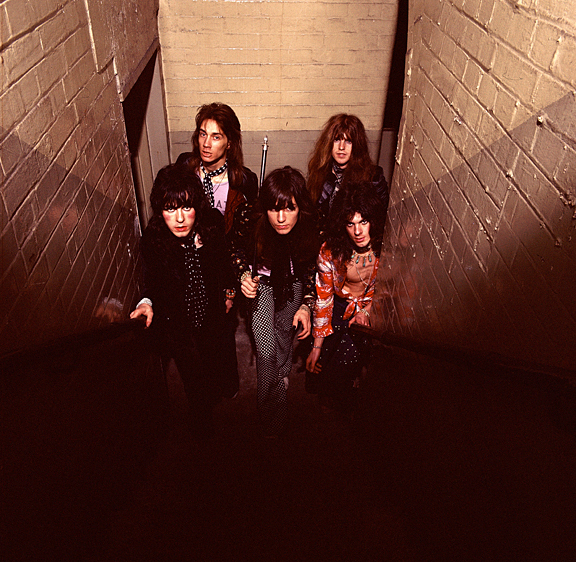 Indeed, had they returned at that point, they would have undoubtedly found themselves the wider audience that they had always deserved, but in the meantime, the various band members had gone their separate ways. Casino Steel joined The Boys (who also adopted a couple of the Brats’ songs.) 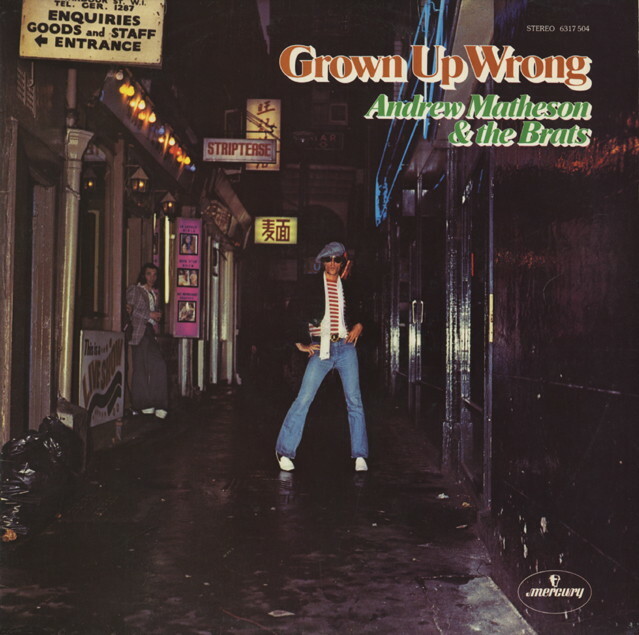 Vocalist Andrew Matheson released solo albums in 1979 and 1994, but otherwise seemed to keep a pretty low profile until, in the last few years, he made several guest appearances singing his original songs with The Boys. 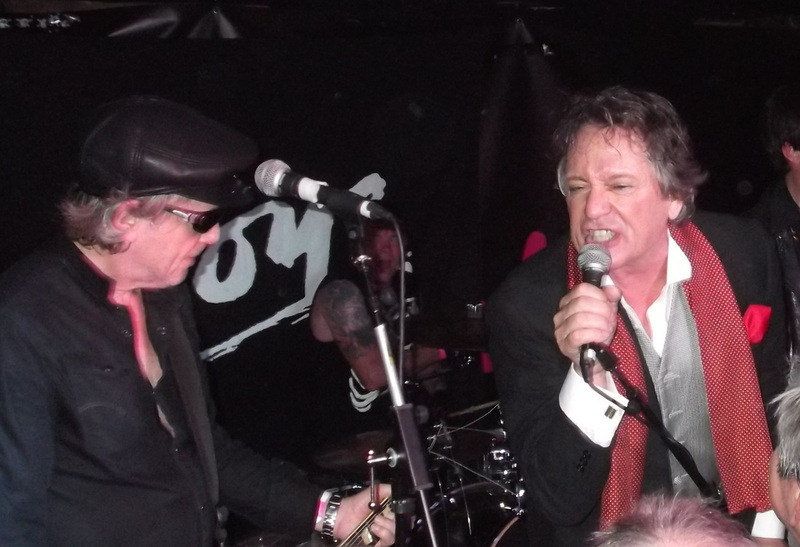 In 2015 his biography of the Hollywood Brats, ‘Sick On You’, was published to rave reviews, bringing both Andrew and the band to a the attention of a whole new audience. 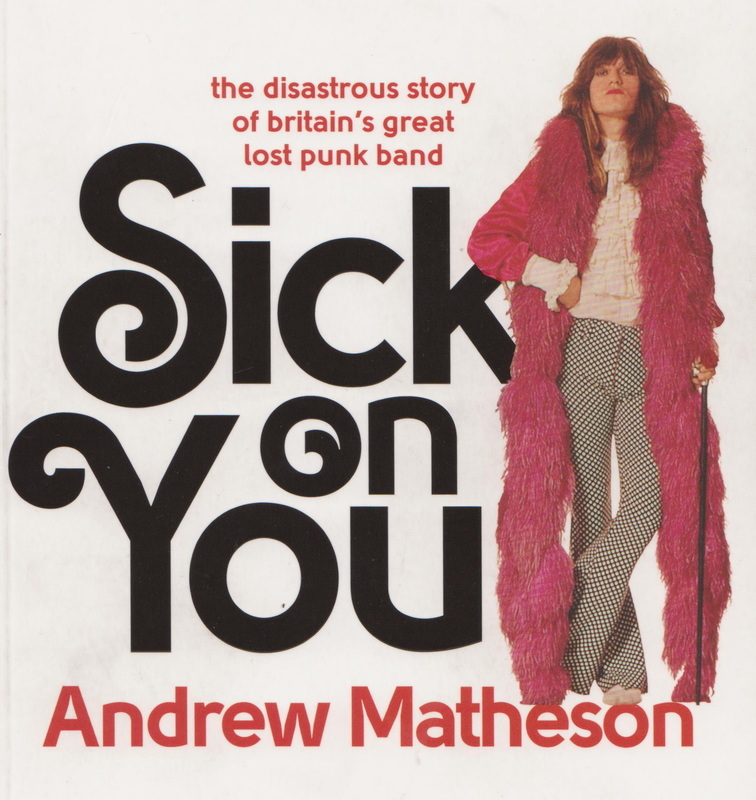 The book combines the tale of the Brats together with Andrews’ insistent writing-style to create a vivid account of the bands’ glorious failure. It’s funny, frustrating and highly enjoyable in equal measures, with a cast of famous figures making cameo appearances to punctuate the events. Quite simply, it’s one of the best books ever written about rock’n’roll. The opportunity arose to interview Andrew (thanks Steve !) and I was more than happy to take up the offer. Everything fell in to place smoothly and I ended-up meeting him on a Friday afternoon at his local pub in Belsize Park. Beers on the table, and despite obnoxious interruptions from shrieking kids (Babies in pubs ? What a stupid idea… Pubs are supposed to be a place where you can get away from that sorta thing…) we soon get in to the interview. Firstly and, as it turns out, rather predictably, I asked why he had finally decided to write the biography of the Hollywood Brats ? Did it take you very long to put it together ? I assume from your style that you must have been writing other things over the years ? Looking back on when the Hollywood Brats came to an end, there was a real sense of disappointment. I was wondering, was the way you put the book together now an attempt to put it all to rest ? The book begins at a point where you’re just about to return to London from Canada… As you were born in England, this prompts the obvious question, how did you end up on the other side of the Atlantic ? Had you been involved in any music while you were still in Canada ? Actually, in the book you talk about quite a few different recording sessions. Do you still have all of that material ? Is there much unreleased material still out there ? You did still stick with Cas after the band broke up… Did you intend to carry on playing music together ? 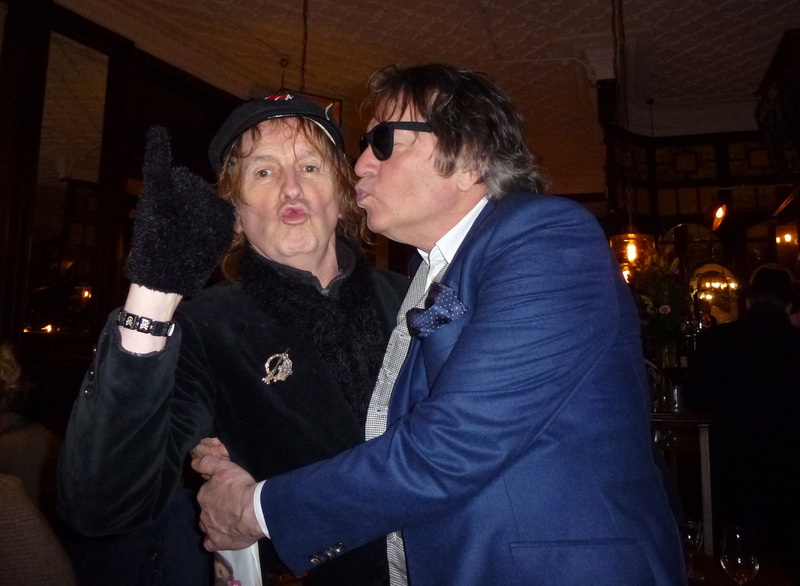 You mention the time when Mick Jones and Tony James persuaded you and Cas to go down to Denmark Street and meet Malcolm McLaren, who made a proposal for the Hollywood Brats to reform. At the end of that episode, you comment that although you were not impressed with Malcolm on that occasion, you later changed your opinion of him. In what ways did that happen ? 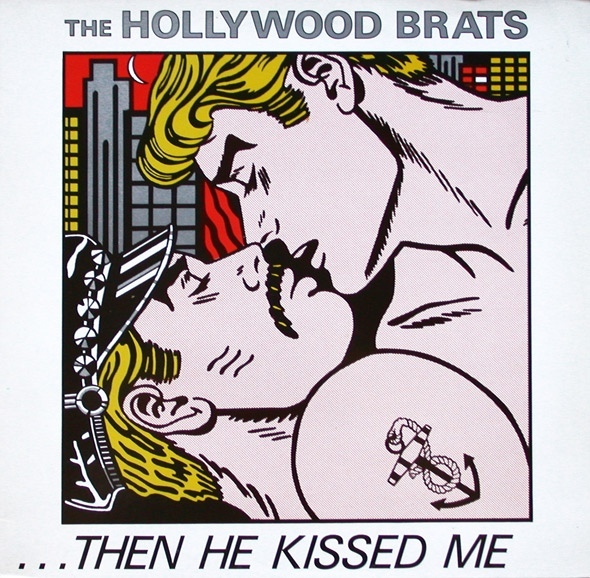 The Boys also adopted several of the Hollywood Brats’ songs (‘Sick On You’ and ‘Tumble With Me’) which would have been the first time that most people got to hear them. Were you happy with them using your songs ? I know you released a couple of solo albums later on, but after all the difficulties and frustrations you had with the Hollywood Brats, were you put-off the music business ? Obviously, you haven’t played music full-time over the years, so I was wondering what you have been doing since the Seventies ? Playing live again, even for just those occasional guest appearances, did it tempt you to try and do anything else ? But with the success of the book, and the possibility of a film version, isn’t it inevitable that there will be new offers for the Hollywood Brats to reform ? And that, discerning readers, is where the interview came to an end. Our time in the pub, however, continued in its’ merry fashion for quite some time, and as Andrew is quite the perfect drinking-companion, it was all good fun. However, this was to be my undoing. Having only expected to be there for a hour or so, I had missed lunch altogether and the steady flow of Sierra Nevada ale eventually caught up with me as we continued drinking on into the evening. Faced with a long journey back home, I just wanted to go to sleep. I’m sure we’ve all been there and on this occasion, in the spirit of the Brats, it seemed entirely appropriate (even if it was a bit of a wimp-out.) But after a while, I gather my thoughts and my balance, bid my farewells and head home with surprisingly few difficulties. I am of course, looking forward to the next chapter in the saga of the Hollywood Brats, whether it be the movie, the reunion, or just another session in the pub. I’m sure any one of those options will be great !